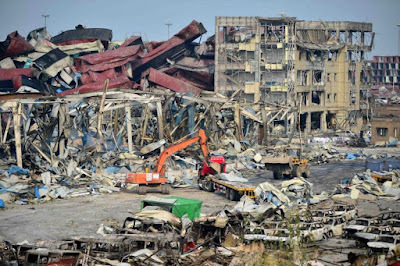 Two enormous blasts in the port city of Tianjin, northern China on August 12 2015, have killed 112 individuals, left hundreds with burnt injuries and crushed extensive range of the city. The power of the blasts were comparable to little seismic tremors, and the fireball that ejected from the explosion site was visible from the space. The satellite saw the blast from the space and recorded spike in thermal readings in the shortwave infrared band (3.75 µm – 3.9 µm). The activity above demonstrates the advantage of Himawari-8's speedier filtering mode: the smoke mists that radiate from the blast are effortlessly followed, and information holes within the pictures are being checked (around 1800 UTC) were not present. Predominant spatial determination of Himawari-8 infrared channels (2-km, contrasted with 4-km for COMS-1 and MTSAT-2) methods gave in more sizzling images with higher temperatures readings were also recorded. The smoke discharge because of the blast was seen spreading northeastward, southeastward, and southwestward was because of a checked movement in the wind direction at the certain heights. The approximate coordinates of explosion noted as 39.0389064,117.737284. 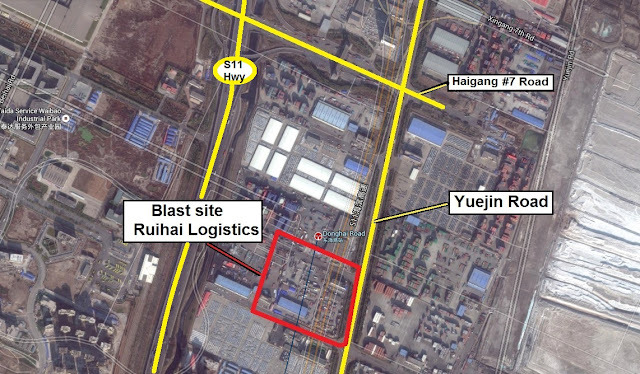 The initial reports of fire at the logistic distribution center in the Binhai New Area started coming in around 22:50 neighborhood time (14:50 UTC) on Aug 12, 2015. The fire specialists at the site were not able to keep the flame from spreading. Firefighters who initially touched base on the scene continued to splash the flame with water as they were unable to adapt and modify their situational awareness due to lack of access to ground intelligence on the presence of hazardous chemicals at the site, the water method eventually created more fierce concoction reactions, resulting into second explosion. At around 23:30 (15:30 UTC), the first blast occurred with an extent of 2.3 quake on richter scale. Starting reports gauge that the first blast was equal to 3 tons of TNT. Soon after, a second explosion brought in greater casualty and wounds with shock waves felt numerous kilometers away. The second blast has been assessed to be equal to 21 tons of TNT. The subsequent fireballs reached to several hundreds of meters in height. 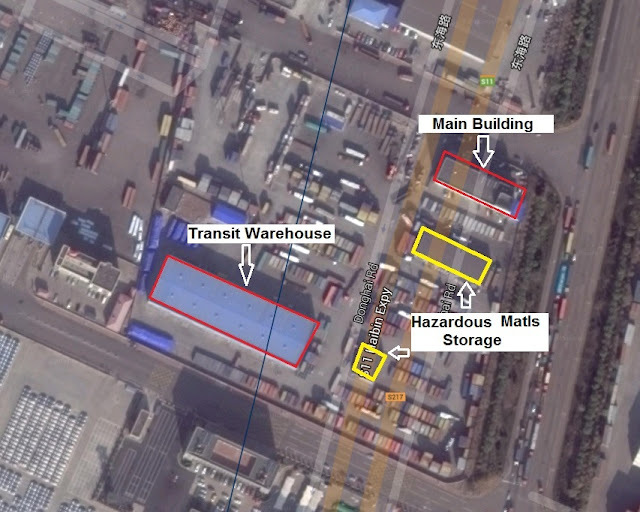 Japanese organizations with operations in Tianjin were first to scramble their teams to gage the extent of harm to their organizations after enormous impacts at the 10th largest port of the world in China. The port is the largest entry point for imported cars in the country, handling roughly 40 percent of cars imported in 2014 through Ro-Ro vessels. It is indeed, very early to determine the level of insured losses, but the event is likely to be large with initial insured loss estimates of $1-$1.5 billion and a large number of insurance companies affected by this unprecedented scale industrial disaster of the decade. Companies affected with this disaster - Renault China, Toyota, Hyundai, Jaguar Land Rover, Kia Motors and John Deere. On August 13, 2015 - A team of over 200 chemical specialists was deployed to the site to assess the remaining stock of hazardous materials and also to determine the best way to put out the remaining fires, proceed with SAR (search and rescue) and environmental clean-up operations.They also attempted to remove the 700 tonnes of sodium cyanide believed to be stored at the very site, with hydrogen peroxide being prepared to neutralise the chemicals. The serious concerns were raised in the initial press conferences about storing of such highly toxic chemical near to human work zones and residential areas of the complex. The distribution center, intended to store hazardous chemical has an ample amount of ammonium nitrate, potassium nitrate and calcium carbide at the time of explosions The calcium carbide responds with water to make acetylene, an exceptionally hazardous gas. A blast could be triggered if fire fighters splashed the calcium carbide with water. Later, Lei Jinde, the Deputy Head, Propaganda Department of China's fire department, a part of the Ministry of Public Security, told state-backed news website ThePaper.cn that the first group of fire fighters on the scene had used water to douse the fire. The client of the distribution center, Ruihai International Logistics Co., worked for a considerable length of time without the required documentation to manage such hazardous chemicals. The permits issued earlier had lapsed last October and the organization just acquired the new permit two months prior to the blast, a serious safety lapse. The Chinese police arrested ten top executives of Ruihai Logistics. 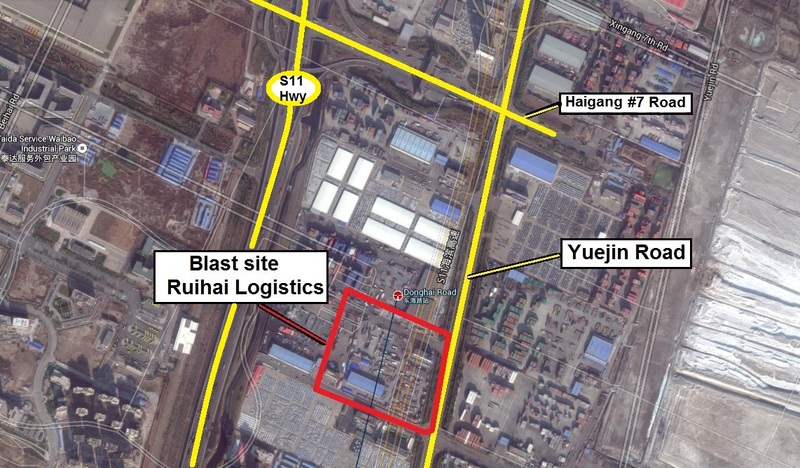 Ruihai is owned via proxies by Yu Xuewei, a former senior executive at Sinochem, and Dong Shexuan, who serves as the company's vice-president and is now under police custody. Dong Shexuan is the son of Tianjin port's former police chief Dong Peijun, who was a colleague of Wu Changshun, the former chief of the public security bureau of Tianjin. In 2014, the Central Commission for Discipline Inspection (CCDI), CPC's anti-corruption body, charged Wu Changshun with bribery. On Aug 26, 2015 The administration's principle vigilance organization - "The Anti-Graft Agency" reported that the present leader of the nation's work safety organization, Yang Dongliang, was under scrutiny and associated with genuine infringement of order, a Chinese code word for defilement. Mr. Yang had served as the representative leader of Tianjin for over 10 years until 2012. Chinese brass have attempted to mollify an open concern, with the nation's State Council declaring on August 26, 2015 - that it was setting up a fast track investigative group to find out the reason for the blasts, vowing a "far reaching examination." The administrative validity of actions in times of emergency has been always criticized because of past episodes in which authorities were moderate in approach and withheld critical information after fiascos/calamities/disasters, including the 2008 Sichuan earthquake and 2011 Wenzhou high speed train crash. 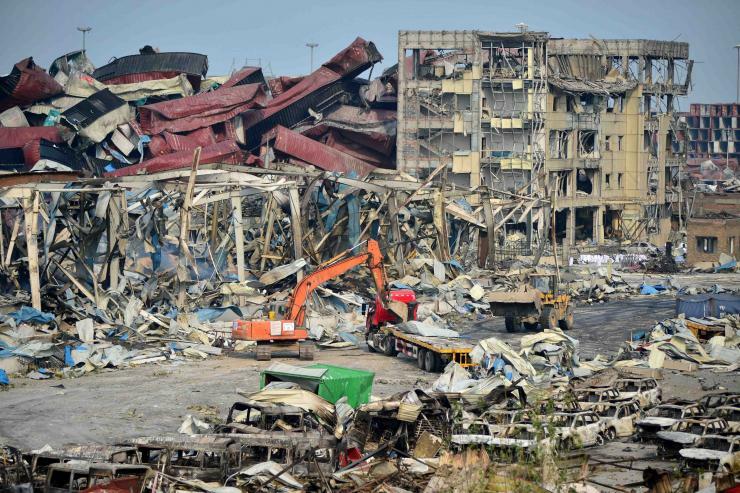 In the wake of the Tianjin explosions, information shared on the online networking were thoroughly deleted by the authorities in the name of public safety and security.